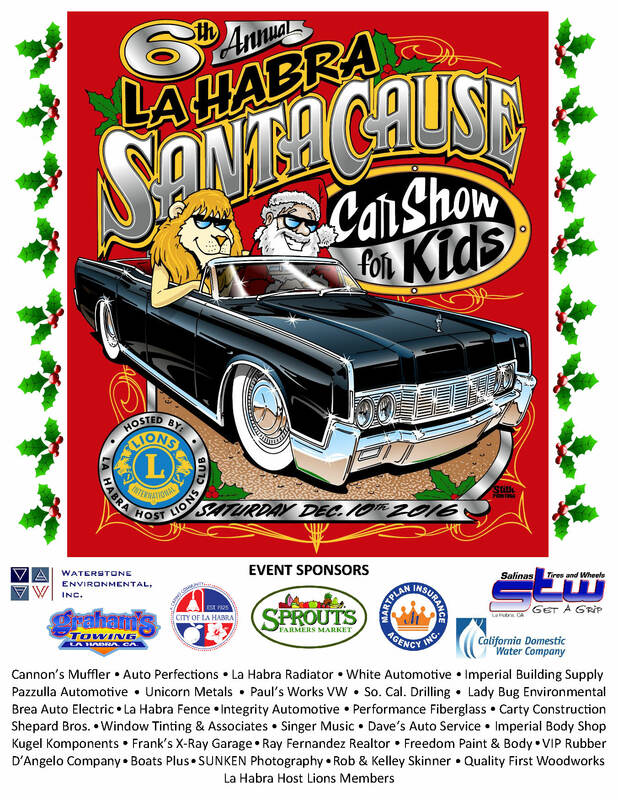 The 6th Annual La Habra Santa Cause, Car Show for Kids will be held on December 10 at the La Habra Market Place, 1431 W Imperial Hwy, La Habra CA 90631. The event will start at 10:00 am and end at 2:00 pm. If you would like to register your car for the Car Show please see "Car Registration" flyer attached for more information. For vendor information please see "Vendor Information" flyer. 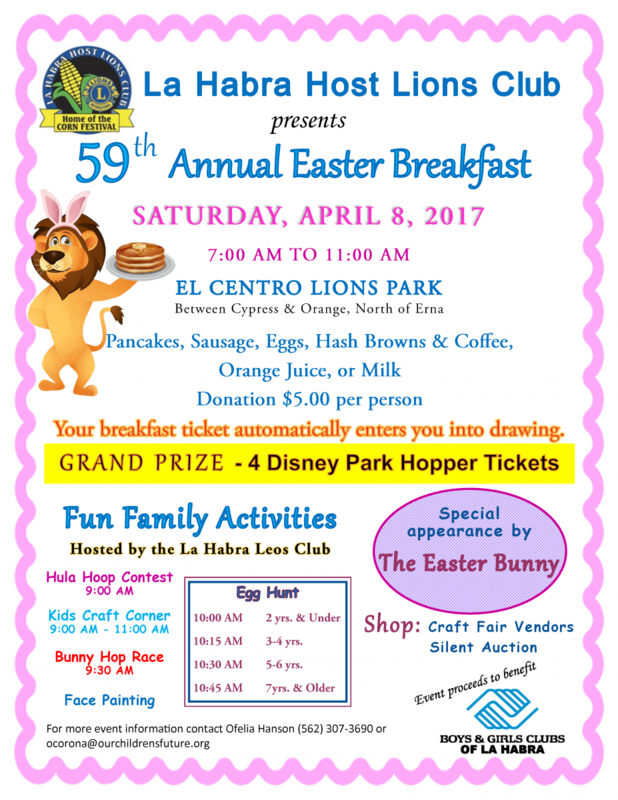 The Lions Club will be serving funnel cakes at La Habra High School. The proceeds will be given back to the community. 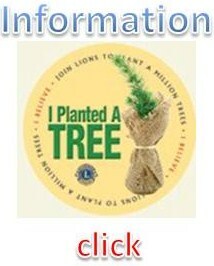 The La Habra Host Lions Club is at the service of underserved people in need of the gift of sight. This is how we can help. 2) If the person in need is a current enrolled student of La Habra City School District or La Habra or Sonora High School, please contact the school nurse who will give you options. 3) Watch our calendar for upcoming community sight and hearing events where you may recieve a no cost screening. 4th Saturday "Lions in Action!" Environmental and Humanity Service Project. The La Habra Host Lions Club extends an open invitation for community members to partner with The La Habra Host Lions to help people in need. Basically this project is a collaborative project between the City of La Habra which identifies La Habra people who are disabled, seniors or military Veterans who need help getting their property to code. The La Habra Host Lions collect used eye glasses. We have a collection box located at the La Habra Community Center 101 W. La Habra Blvd. La Habra, CA 90631. Donations are sorted and reconditioned and donated back into the Southern California community to underserved benefit people with the gift of sight. 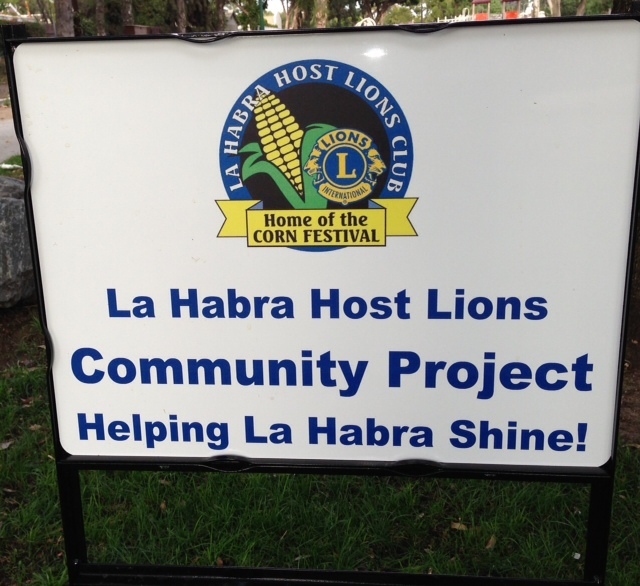 Our life long collaborator and one of the organizations who started the Boys & Girls Clubs of La Habra in 1955, the La Habra Host Lions Club, selected Saturday September 28th to volunteer 4 hours of service to the club. Sixteen Lions members, 5 Leo Club members, and 5 boys and girls club personnel started the morning work party by painting the clubs snack room area. The room was in need of a cleaning and painting. With over 200 children participating inside the club daily, the snack area looks bright and inviting. A wall in the Education Center was also painted. 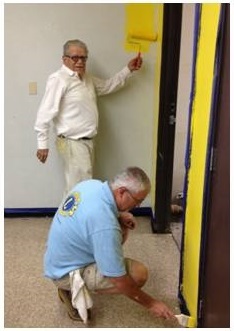 In addition to the painting, Lion members cleaned sinks, walls, doors, windows and dusted woodwork. Three members cleaned carpets in the clubs Education Center, Community Meeting room, and the children’s play area. It is groups like the Lions who help us cut down costs of labor, cleaning, and repairs. We are grateful to the Lions and Leo club for their dedication not only to the boys and girls club, but to all La Habra non- profit organizations. 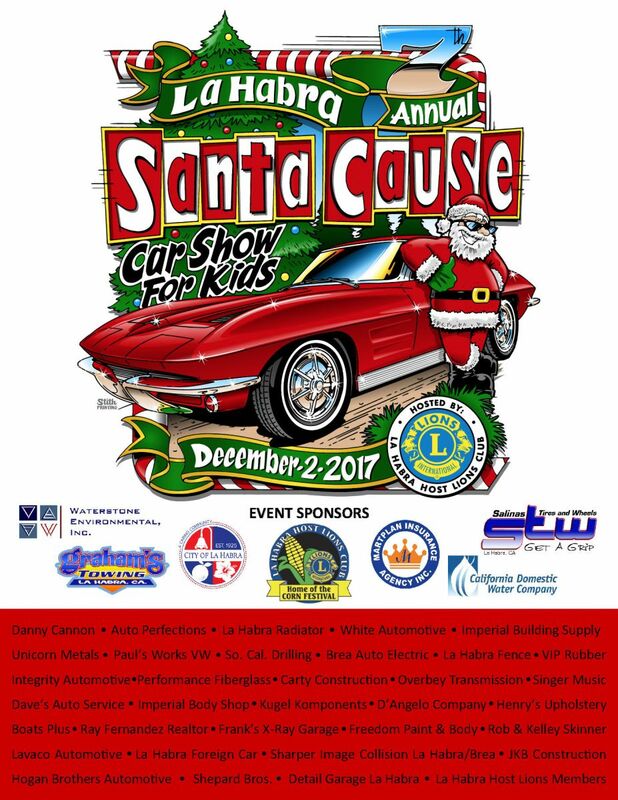 On behalf of the board of directors and more importantly the La Habra children who participate in our programs and services, thank you for the work party! Photo: Lions John Campos and Roy Ramsland are Lions in Action! Look for the sign for the call to action.